*This is a partial listing. Additional names will be announced at a later date. 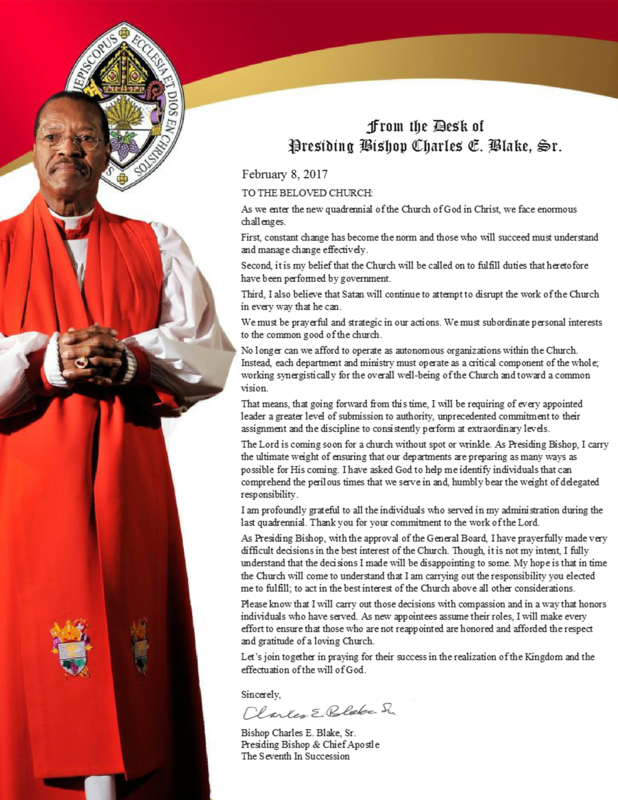 Bishop Charles H. M. Patterson, Sr.
Elder Uleses C. Henderson, Jr. Administrative Assistant Joseph Chase, Jr. Administrative Assistant William McMillan, Jr.